Looking for the coolest piece of garden furniture on the block? Copa is it. Groovy and graphical, this collection is great for those looking to make a bold style statement. We’ve taken this weave to the next level. Summery, blue and red are laced together to create a playful pattern. Mesmerising. 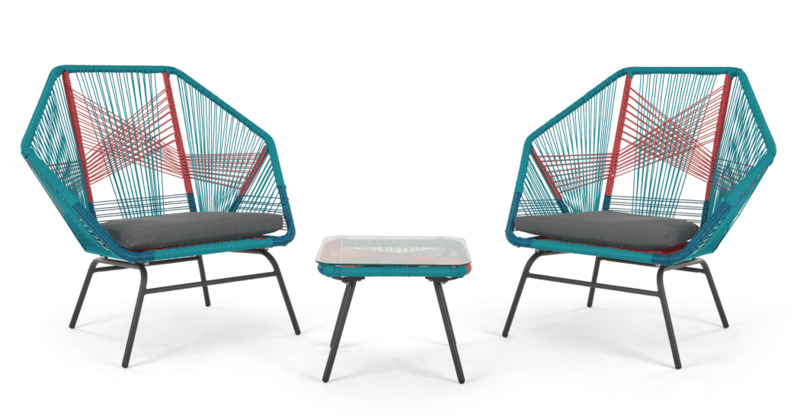 The poly rattan not only looks stylish, but also keeps things cool in summer days. Its weatherproof - so just leave it outside so you're ready to catch the first of the sun.